LiveCode LessonsLiveCode LessonsHow to - LiveCode Marketplace Products Data Grid HelperHow Do My DataGrid Can Support UTF-8 or Unicode By Using DGH? 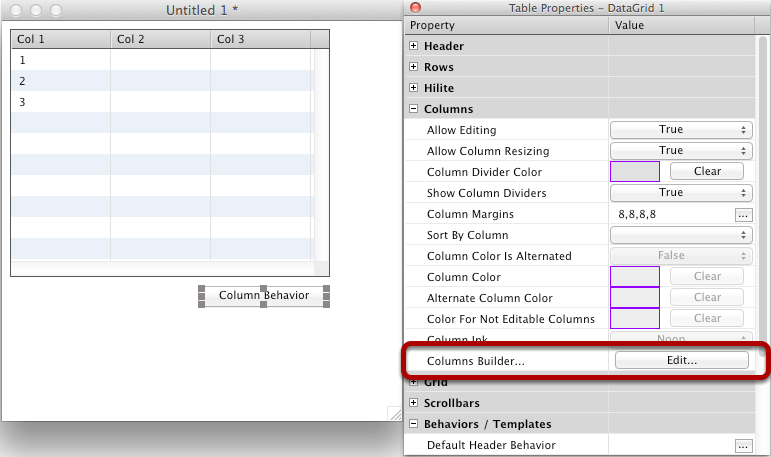 Name this button "Column Behavior"
A reference to the button will be added in the Default Column Behavior property value. 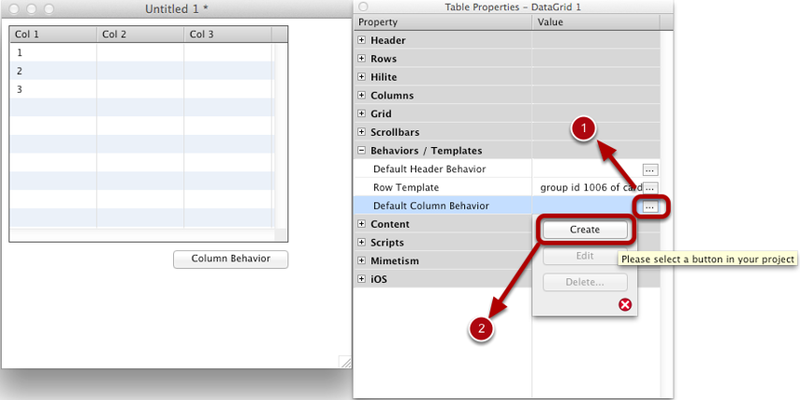 Our Datagrid is now ready to receive a column behavior script. 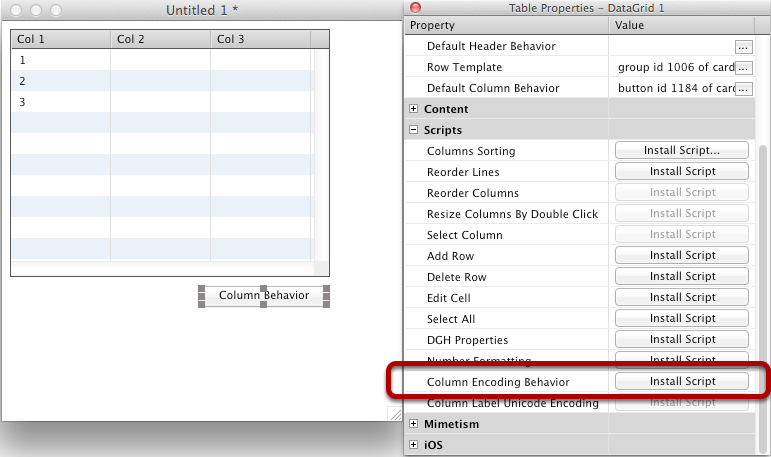 Go in the DGH's scripts topic and click on the "Install Script" button of the "Column Encoding Behavior" line. 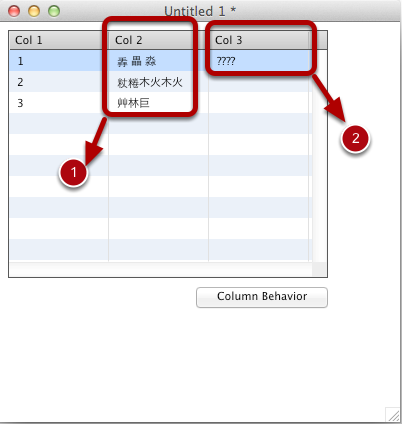 We have now to change the properties of each column which we want in UTF-8 or Unicode. The DGH's columns builder can help by doing that for us. 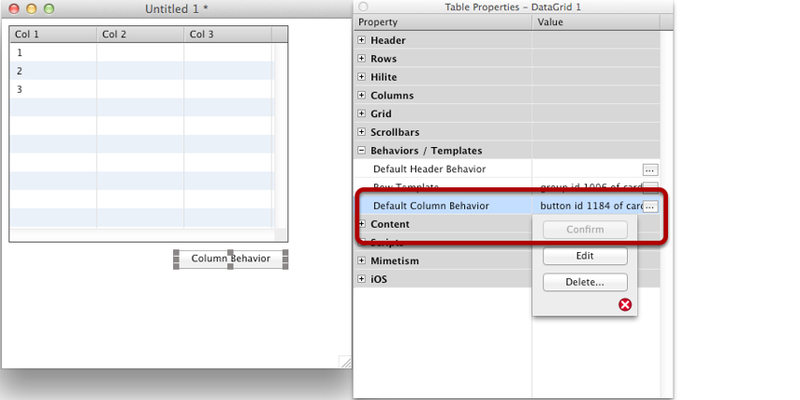 Open the DGH's columns topic and click on the Edit button for opening "Columns Builder"
Note, both Text Displayed and Text Edited are not natives properties of the DataGrid API. These properties are managed by DGH only. 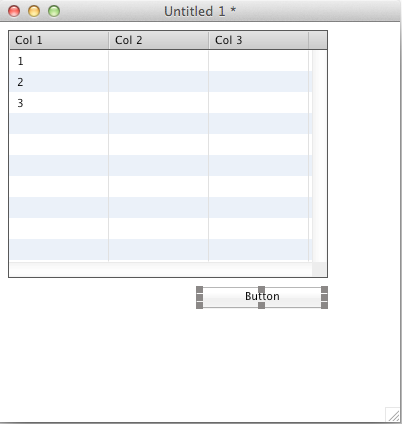 However, you can still change them by code, even if DGH is not opened. 1. We can now test the result of our efforts by inputing some UT-8 chars in the second column. 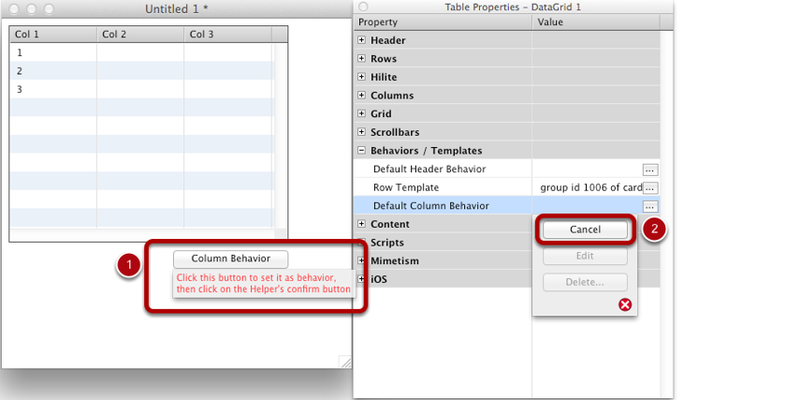 Prev: How Do I Change the Default Header Behavior of a DataGrid?